What is a Landscape and Visual Assessment? Have you been asked for a Landscape and Visual Assessment by Council? Or has your planner told you that you’ll need one for your Resource Consent Application? Understanding what a Landscape and Visual Assessment is the first step in knowing why you have been asked to provide one as part of your Resource Consent Application. A landscape and visual assessment is undertaken by a qualified Landscape Architect to assess the potential landscape and visual effects of a development. The purpose is to assess the capacity of the landscape to absorb the changes that will result from the development, and whether there will be adverse, neutral or positive effects. There are several reasons for a landscape and visual effects assessment. At TCL we typically do them as part of a resource consent application to support a development proposal. For example, a new house in a bush setting, for a rural subdivision, or for a multi-unit or commercial development in an urban environment. The Landscape and Visual assessment will assess the effects that the proposed development will have on the landscape. It will also assess the visual effects for the affected neighbours and general public. When will I be asked to get a Landscape and visual assessment done for my proposal? 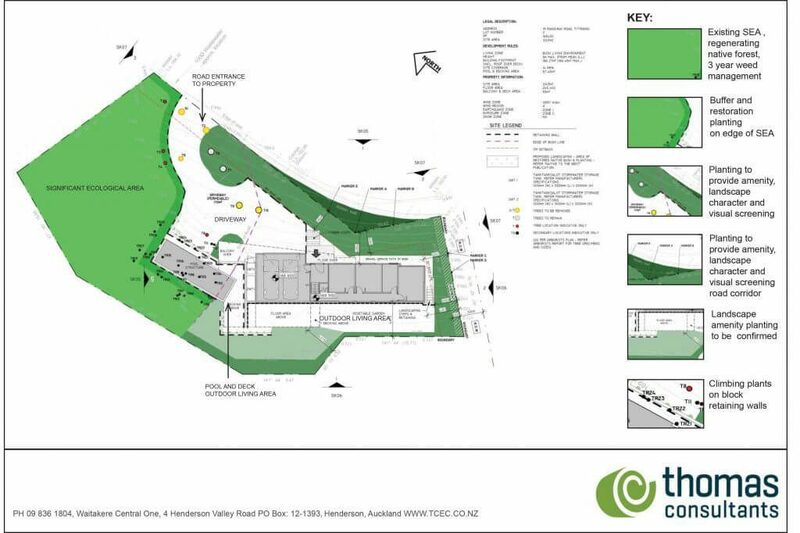 When you start the resource consent application process your planner may advise you that you will need a Landscape and Visual assessment to support your application. Or, you may be requested by Council to provide one once your Resource Consent has been lodged. When assessing your development the Landscape architect must be as objective as possible about the effects of your proposal and may identify adverse effects. However they will also help you and your designer, engineers and planners develop landscape plans and strategies to mitigate and avoid these adverse effects. This is an important part of your application as your local authority will want to see that you have addressed the any negative effects of the proposal. If you would like to learn more about landscape and visual assessments, we’d love for you to get in contact with our planning or landscape architecture team here. PreviousPrevious post:HOW DO I SUBDIVIDE MY PROPERTY?NextNext post:What Is A Cross Lease?